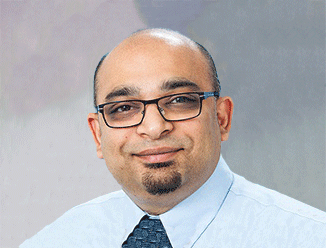 Tushar Aggarwal is the Commercial Director for property accounting services for the Asia Pacific (APAC) region within CBRE’s Investment Accounting & Reporting Solutions group. He has been with CBRE for more than nine years. Tushar previously worked in the United States and the United Kingdom before joining the APAC region in December 2013. Tushar has over 18 years of experience in the financial services space, where he worked with clients in the real estate, banking, insurance, technology, mortgage and retail industries. He has well-rounded expertise in pre-sales, sales, solutions, transition management, operations/delivery management, procurement and account management. Prior to joining CBRE, Tushar worked with large, multinational companies such as DELL and Citibank, in addition to mid-size consulting firms in India. In these roles, he performed corporate funding activities, including project finance, equity placements and IPO preparation work. He also has extensive experience in creating shared services strategies, outsourcing programs, process improvement initiatives and large-scale transformational projects.